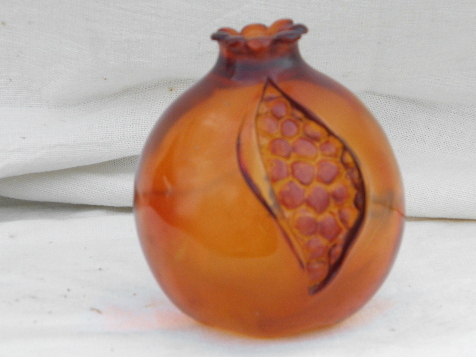 Large lucite plastic pomegranate fruit with tinted color, very 60s! This measures 4" tall. It has a few small scratches, looks pretty good overall.